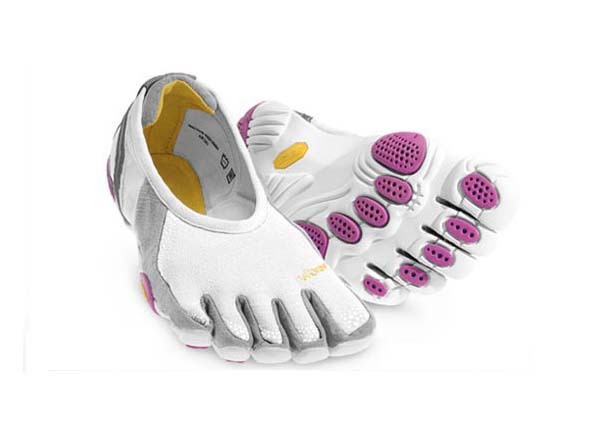 The Vibram FiveFingers Jaya fosters grace and power in a minimalist design. Created specifically for the modern fitness enthusiast, the stretch nylon upper and padded collar comfortably secure the foot during exercise. The athletic upper provides coverage that will secure the Jaya on the foot. The 5.5mm EVA sole makes the Jaya one of the lightest models in our collection. Strategically placed Vibram TC1 performance rubber pads provide grip and durability to this unique sole design. The Jaya can be worn for a variety of indoor and outdoor fitness activities requiring balance, agility and power.